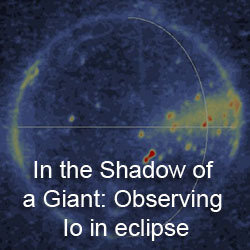 Most of you have probably already seen this very famous image acquired by the Io Science Laboratory but I still think it is one of the best spacecraft images every acquired. 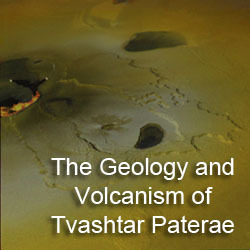 This image was taken on the floor of a fissure on the floor of Gish Bar Patera during the probes 3 hours active on the surface. The colors seen are largely the result of a various sulfur allotropes, ranging from the red coating on the lava bomb in the foreground, to orange, to the more stable yellow. Sulfur dioxide can be seen on a distant cliff face, likely emplaced after sapping from the subsurface. Exposed silicate materials can be seen in many of the rocks near the lander, such as an exposure of olivine in the large, foreground boulder. Okay, okay, I made this last year in Photoshop to be a background for my laptop. 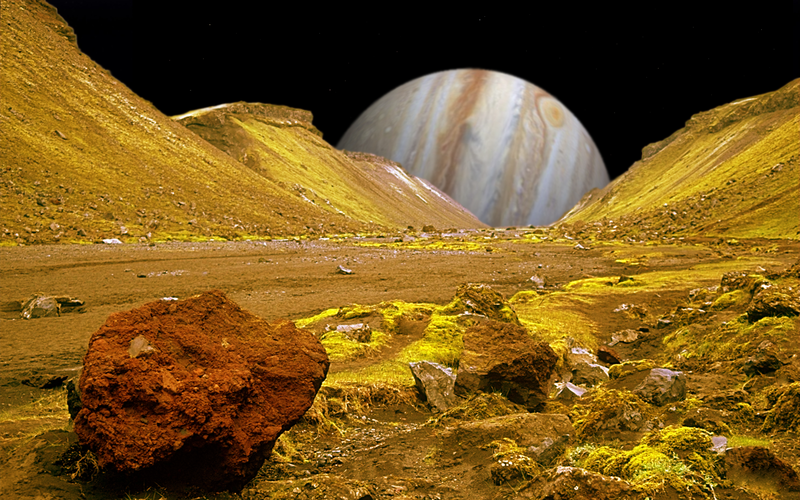 It was created by combining an image taken by Andreas Tille in the Eldgjá Fissure in Southwestern Iceland (original image) and a simulated view from the surface of Io (from Gish Bar Patera) of the eastern horizons. 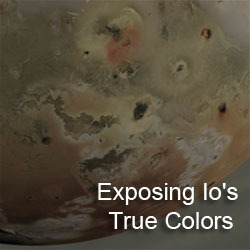 I used Photoshop CS to adjust the colors to match those of Io, to blur out the more obvious blades of grass, and to remove some of the distant mountains (due to the obvious atmospheric scattering). Wow! That really looks believable. Glad you didn't accidentally leave a bird in the sky or something.